Digestion is the mechanical and chemical breakdown of food. 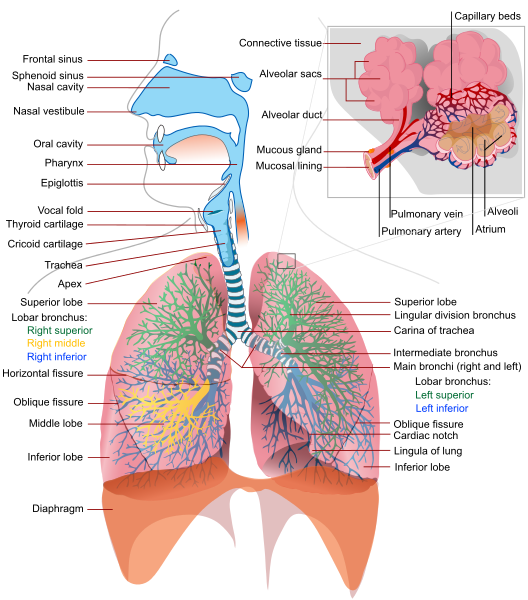 The esophagus is a muscular tube through which food passes. The stomach is an organ which stores and breaks down food. 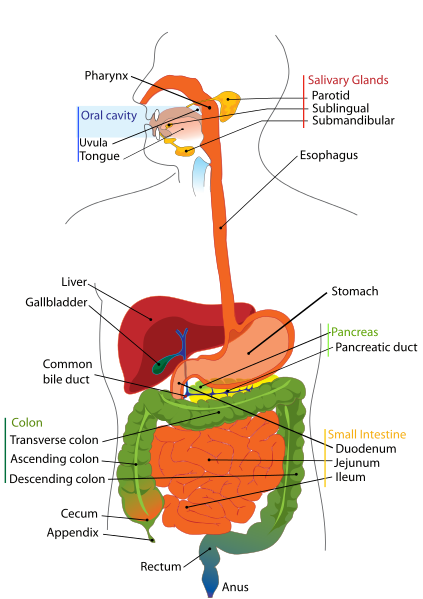 The small intestine is where much of the digestion and absorption takes place. The large intestine (or colon) absorbs water. More. 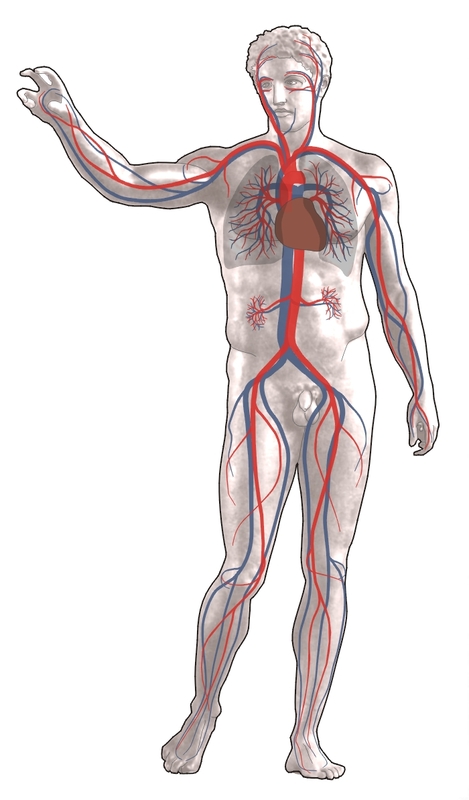 The circulatory system is an organ system that permits blood and lymph circulation to transport nutrients, oxygen, carbon dioxide, hormones, blood cells, etc. to and from cells in the body to nourish it and help to fight diseases, stabilize body temperature and pH, and to maintain homeostasis. More. The endocrine system is the system of glands which secrete different types of hormones directly into the bloodstream to maintain homeostasis. 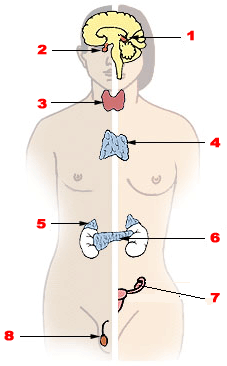 The endocrine system organs: 1.Pineal gland 2.Pituitary gland 3.Thyroid gland 4.Thymus 5.Adrenal gland 6.Pancreas 7.Ovary 8.Testis More. 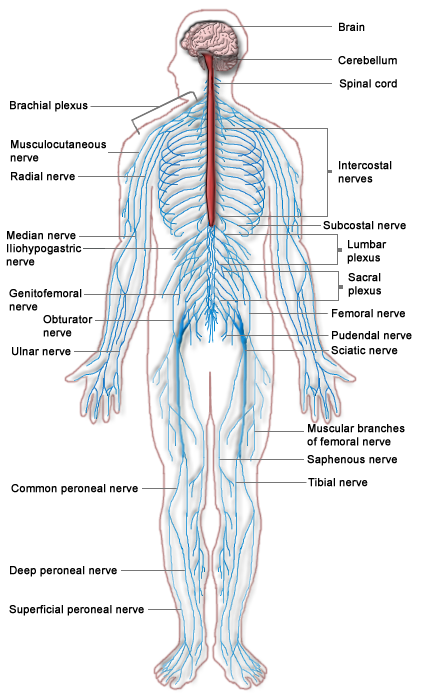 The nervous includes the brain and the nerves as well as the senses. The nervous system can sense changes inside and outside the body through specialized cells called receptors. 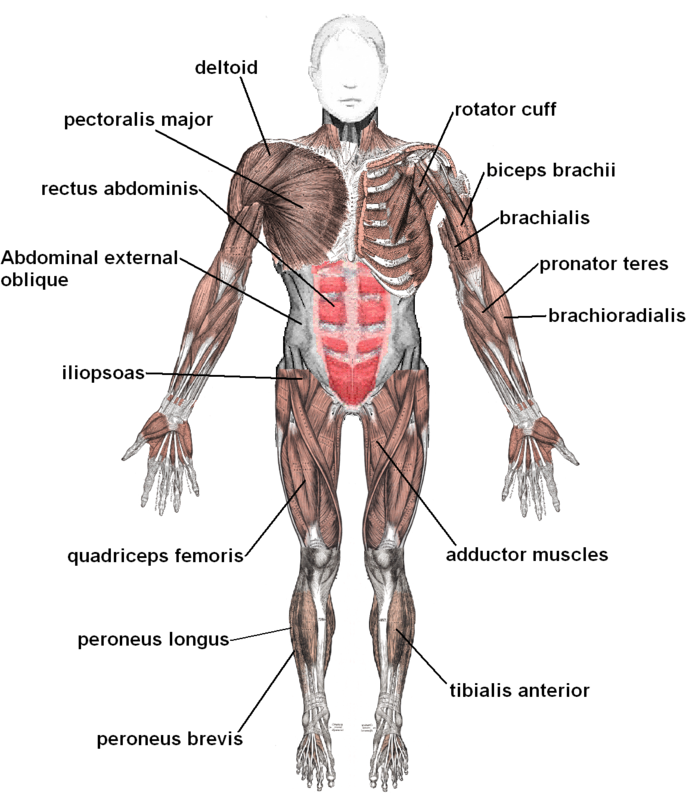 These responses are conveyed to the appropriate organs such as muscles or glands, at a great speed. . More Nervous Systems. The Urinary system eliminate wastes from the body. 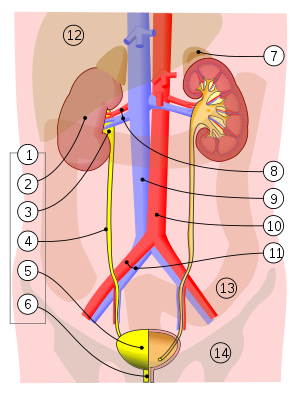 Urine is formed in the kidneys by filtration of blood. The urine is passed to the bladder where it is stored. During urination it is passed from the bladder through the urethra outside of the body. About 1-2 liters of urine are produced every day in a healthy human. More. 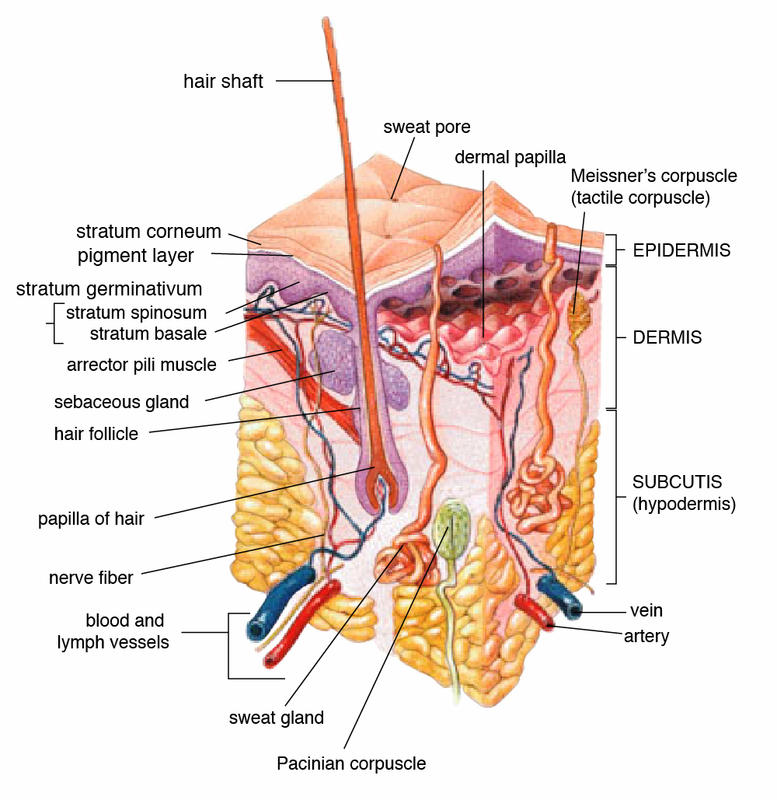 The integumentary system protects the body from various kinds of damage such as loss of water or abrasion from the outside. 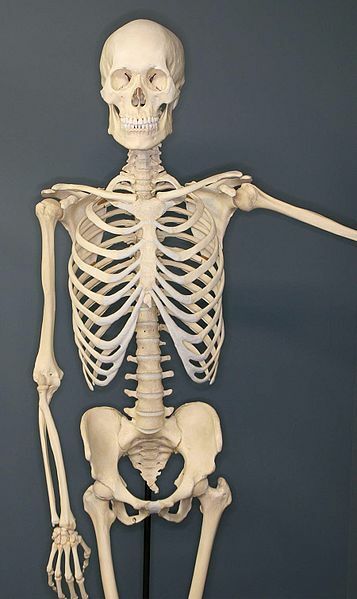 It comprises the skin and its appendages including hair and nails. It serves to waterproof and cushion the deeper tissues, excrete wastes, regulate temperature and detect pain. More. 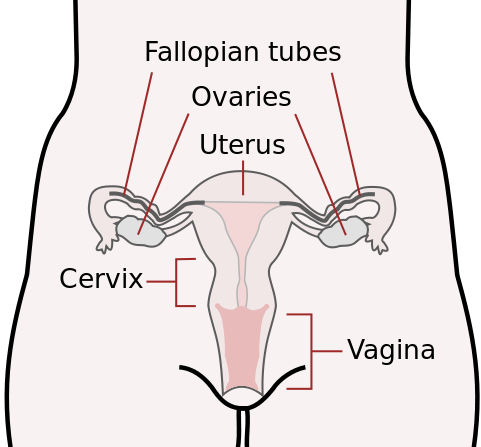 The human female reproductive system (or female genital system) contains two main parts: the uterus, which hosts the developing fetus, produces vaginal and uterine secretions, and passes the male's sperm through to the fallopian tubes; and the ovaries, which produce the female's egg cells. More. The human male reproductive system is a series of organs located outside of the body and around the pelvic region that contribute towards the reproductive process. The primary direct function of the male reproductive system is to provide the male [gamete] or [spermatozoa] for fertilization of the ovum. More.